How does that infamous saying go: Beauty is skin deep? Well yes, yes it is, indeed; which is why it may just be the perfect time for you to take a much-needed and well-deserved break from your hectic and stressful schedule and take some time to really focus on your beautiful face. We have just the thing that we believe is a quintessential start and beginning. So just what is this ‘about face’ starting place? The facial, of course, and you can read all about it below. 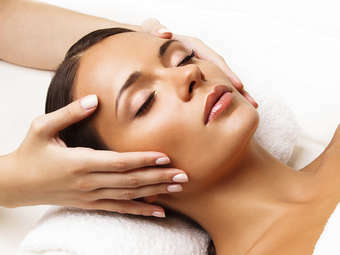 Simply put, facials are a relaxing treatment for the face that are meant to cleanse, firm, smooth and moisturize skin back into its best glowing shape and place; but that’s not all that a facial has been known to result in or even produce – they also deeply get in to clean not only your pores but all of your skin, too, and have been known to exponentially improve either too dry or too oily skin at the source all while setting you on what we like to consider a rather pampering (all-encompassing) and de-stressing course. Doesn’t that sound like just what you need to ensure the truth in the saying that beauty really is skin deep? We wholeheartedly agree, which is also why we offer classic facials that use only upscale organic Janssen products for your face and why the same can be said when we tell you we also urge and encourage you to spoil yourself at least once every few months with one of our beyond relaxing facial treatments. If you are curious about just how much something like this actually costs, fear not, for it’s all written out in black and white so you know just what you and your beautiful face are getting into. 60 to 90 minute treatment.